Why did they leave the show? 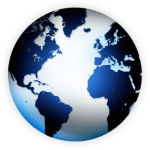 In what date did Knots Landing first air and in what date did it depart from air? 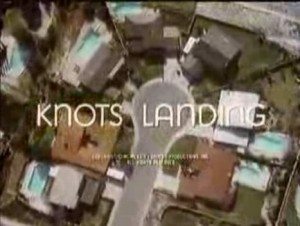 Knots Landing aired on the 27th of December 1979 and lasted 14 years to the 13th of May 1993. Were there any particular reasons the show ended? The cast was simply to expensive to pay and David Jacobs decided to end the show friendly with CBS so they decided the 14th season will be the last one. Also, a lot of the staff left the show to start with others and David Jacobs had to recast a whole new staff of writers for the last seven episodes. John left Knots Landing in 1983. He didn’t wish to leave the show and he was fired since the writers and the show’s staff had something else in mindm not regarding John’s character – Richard. Don wanted the show to pay him more money that before but they rejected him and he said he wants off the show. Don’s character was killed off. Lisa was out of the show, I think her contract was up so Knots Landing didn’t want to renew the contract. After Ciji was murdered, the audience wanted Lisa back on the show so she agreed immediately to rejoin the cast as Ciji’s look-alike – Cathy. After 4 years in Knots Landing (1983-1987), Doug wanted out of the show and so his character was set to disappear or die in South America. The show’s producers started cutting out some expenses and fired some major/semi-major characters and Julie was one of them. Lilimae’s character was simply to leave town with homeless Al Baker. Laura’s leaving and death was one of the cutting off expenses of the show and Constance was one of them. Since Teri’s character, Jill, was credited into the opening theme for 13 episodes instead of the 2? episodes that aired that season, I firgure she wanted to leave the show, otherwise, she could at least be until the end of the season. Larry died of AIDS the same year but his character was said to move to Chicago with his daughter Julie. Kenny’s character was never major and the storylines were never so interesting and improtant like the others. I figure he was fired in 1983. Ginger’s character was not important too so I also figure she was fired in 1983. 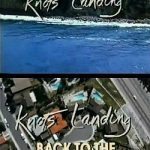 In 1980, when Donna joined the cast of Knots Landing as the bitchy Abby Cunningham, the show became better than ever and I figure the ratings as well became higher. In 1989, it was Donna’s decision to leave Knots Landing. She said it was enough for her and playing Abby was 9 good years but now she needs to focus in other things. Of-course, a character like Val wouldn’t be kicked off but I know the decision was Joan’s to leave Knots Landing after 13 years. She came back for the last two episodes. It was said that Peter wanted very much to sign contract for more years in Knots landing but unfortunately not. So I figure they fired him. His role as Johnny lasted 1 year (1988-1989). Anne: Greg, An unnamed first husband. Reason- This is sort of a mystery. Some say she wasn’t happy with the new direction her character was taking, while others say the new writers didn’t know what to do with her. Reason- Don wanted to much money some say, others say he wanted to pursue a movie career. 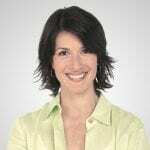 Reason- She was very unpopular with the viewers, and David Jacobs say’s Claudia was unhappy on the show. Reason- Larry Riley succumbed to A.I.D.S. He was a talented actor, and was surely missed on Knots. Reason- It seemed the writers couldn’t find a way to incorporate them into the core cast, therefore they ended up neglected, and often without a storyline. Reason- He didn’t have a storyline. Reason- Due to budget cuts, the producers were “forced” to axe a couple of cast members. Laura, not being to active probably seemed like the right choice at the time. Reason- Same as Constance, I guess they thought Lilimae was one of those easily expendable characters. Reason- Its not really known. The only thing I can think of, is that Knots Landing changed after season 4 with characters like Greg Sumner coming on, and he probably wouldn’t have made in the “new” Knots Landing. Reason- Her character was taken to the edge, and there was no chance of redeeming her.